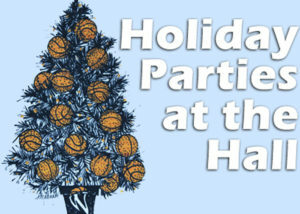 Celebrate the holiday season with your special events at the Women’s Basketball Hall of Fame. Let our team provide you with personalized service and attention to every detail of your festive event. We will help you plan an amazing holiday party large or small that your guests will remember well into the New Year. To begin planning our holiday event, give us a call today at (865) 633-9000.